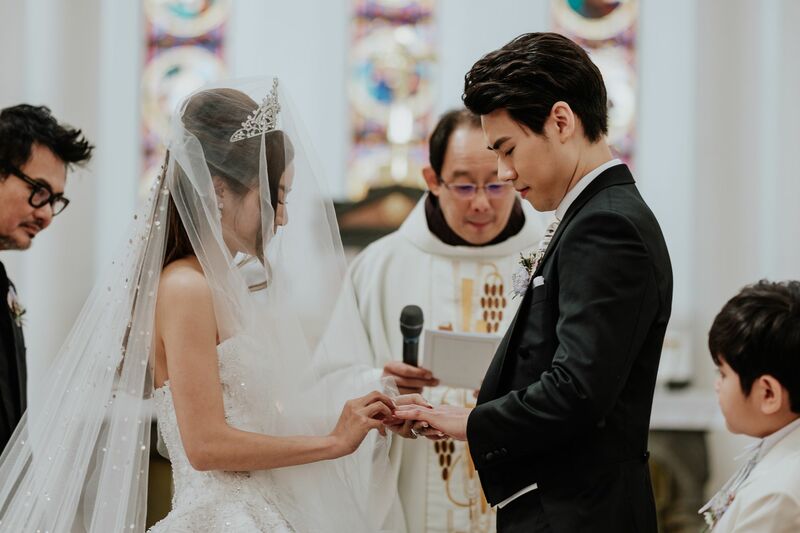 You've seen the gorgeous fairytale wedding of Rachel Wee & Ken Chen unfold on Instagram—here are the official photos from the nuptials that are sure to inspire some wedding envy. The daughter of Jean Yip and Mervin Wee wedded her beau earlier this year in an extravagant lineup of festivities, from a lively tea ceremony (complete with a sedan and an entourage) to a dreamy mermaid-themed banquet at the Ritz-Carlton. See the romantic moments between the photogenic couple, immortalised in pictures.